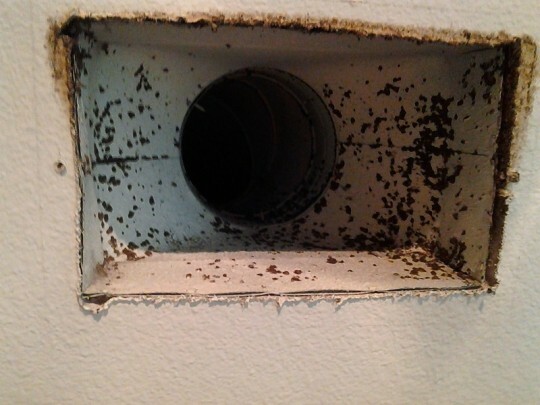 Black Mold is an accumulation of moist air in the ducts or in the opening of the walls. 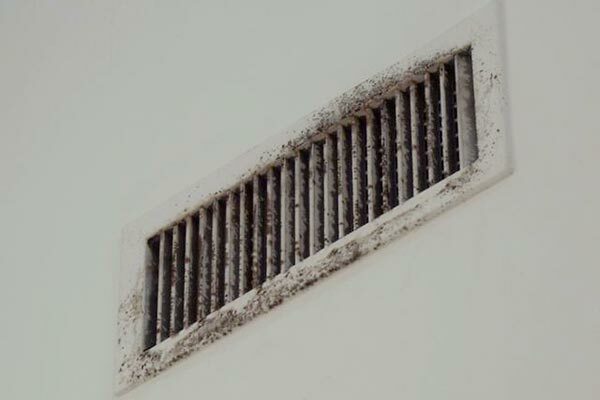 This problem of mold growing in vents is as a result of change in humid condition of the climate .Moisture plays an important role in promoting the growth and spread of molds. They produce spores which are light to float in the air within the room. When the room is severely contaminated the thousands of spores can float in small volume air posing serious health hazards. Mildew can easily be identified as they cause decolonization and smell can easily be felt. 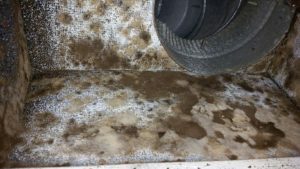 Keeping a house under low humid with air conditioner can keep the molds away but when the molds gets into the ducts of air conditioner with the dusts it becomes hard to identify. Duct system in the air conditioner is the best place that incubates the microbial pollutant such as molds and bacteria. The alternation of high and low humid conditions enhances the rapid production of spores.in this case as the conditioner is revolving it dispatches the spores in the air resulting in its spread. When the air conditioner is run throughout the year it leaves little room for evaporate to condense hence the duct would always remain dry. High levels of moisture can because dirt will accumulate itself and provide room for the mold development.to deal with this challenge it is advisable to use the air conditioner less frequently or keep cleaning the ducts to remove the dirt accumulation. Most of the air ducts systems need maintenance and cleaning on regular basis.It is highly recommended to get duct cleaning in your residence or office. Biocide may be used to kill the mold but it usually discourage as it poses challenges to people living since the air is contaminated. The presence pets and plants become agents of the growth of molds as they deposit themselves in the duct work and grow. If a household has such things it should consider upgrading to a newer kinds when they swap them out. Newer filter removes smaller particles as compared with the older fiberglass filters. Effective filtering is a huge part in success of cleaning of ducts.